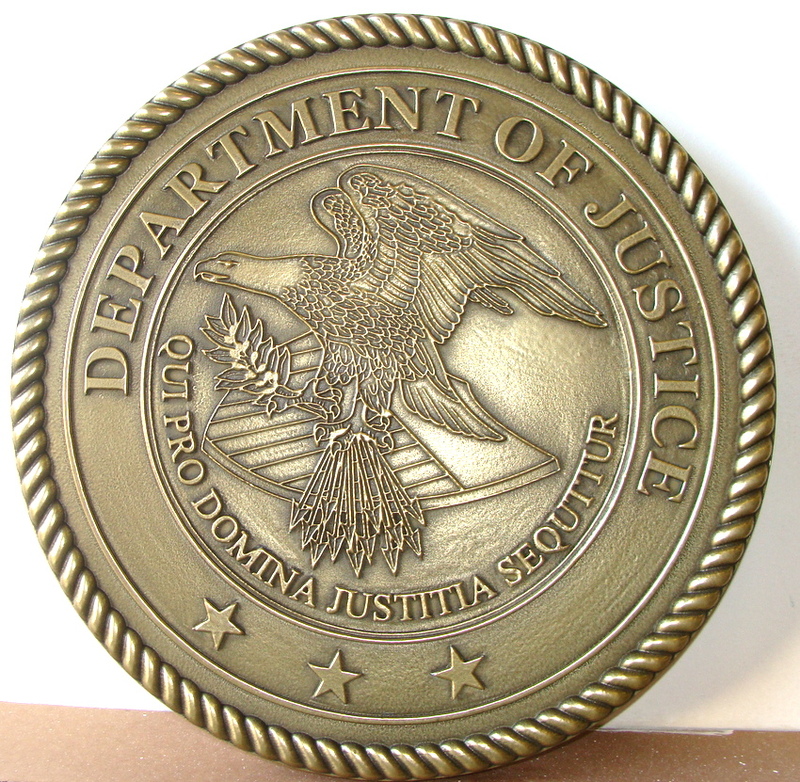 This brass plaque was made for the US Department of justice. The center art is 2.5D, outline relief, compared to the 3D (sculptured bas relief) art in the plaque shown in many other plaques.This plaque is polished (no dark patina) on all areas . These plaques are polished by hand to bring out the high-lites. This seal is 24 inches in diameter, but can be purchased in any size from 16 inches to 60 inches in diameter. It can also be customized with other text.